Every women should own these fashion forward crawler cuff earrings. 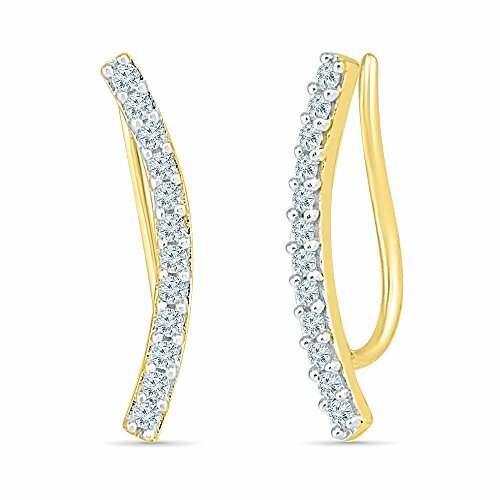 Express your love with these beautiful earrings suitable for any occasion. The metal is 10K yellow gold and weighs 1.40 grams. The diamond shape is Round, quality is I2-I3, and weight is 0.16 carats. If you have any questions about this product by Estella Collection, contact us by completing and submitting the form below. If you are looking for a specif part number, please include it with your message.